Clotilda is survived by her sons Ricky Lewis Soup (Marlene), and Todd Shannon (Arlene) Soup. Brothers Adrian (Geraldine) Many Fingers and Ivan (Verna) Many Fingers. Sisters Virginia (Lester) Tailfeathers, Geraldine (Donnie) Many Fingers, and Anne (Rodney) Healy, Kathleen McHugh. Grandchildren: Jeron (Michael), Janetta (Alejandro), Nikki (Tashina), Megan (Colby), Olivia (Keegan), Kesley (Alixx), Shania (Charlie), Rebby, Jayden, Jasmine, Keenan and Adonis. Great grandchildren: Brady, Alora, Keleb, Dayton, Taycen, Zephryn, Jonah and Jenna. Numerous nephews, nieces, cousins, colleagues and bingo friends. On October 31, 1959 Clotilda married her life long partner Louis Winston Soup and they were blessed with three sons--Ricky, Renny and Todd. In the early 60’s, Louis and Clotilda along with Ricky moved to Vancouver B.C. where Louis attended Carpentry training and Clotilda attended Nursing Aid training. The young family lived and worked in Vancouver for a few years along with Louis’s mother Julia, Papa Jake, and siblings. In the mid 60’s they moved back home to Alberta and raised their growing family, living and working in Calgary for a period, then back home on the Blood Reserve. Clotilda was a huge supporter of her husband Louis, and sons, Ricky, Renny and Todd’s sports activities. As a loving mother, she always ensured her boys were well fed and clothed, sewing many of their school outfits. Clotilda was very proud of her family’s many accomplishments, always ensuring good school attendance—as education was priority number one. As a grandmother, Clotilda was very proud and loving to her many grandchildren. She would travel with them to many events, such as hockey tournaments, graduations, family dinners--always letting them know how precious they all were to her. Clotilda was so very proud of her late son, Renny who joined the powwow trail as a traditional dancer. She would often accompany him and his family to many powwows. Clotilda participated in numerous traditional activities, including sweats and ceremonies. She was proud of her culture and language, enjoying many visits with family and friends as a fluent Blackfoot speaker. 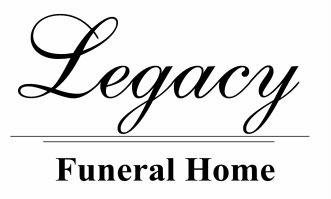 A Family Service will be held at Legacy Funeral Home on Monday, April 8th from 5:00-6:00 p.m. followed by the Wake Service at the Senator Gladstone Hall, Blood Reserve from 7:00 - 11:00 p.m. The Funeral Mass will be held at St. Mary’s Catholic Church,Blood Reserve on Tuesday, April 9th at 11:00 a.m. Interment in St. Paul’s Cemetery.